Bebe Cool’s friend and singer Dizzy Nuts born Denis Oscar Mubuuke, was laid to rest at his ancestral home in Uganda. The singer was involved in a hit and run accident where it is believed that it was a plan to take the life of Bebe Cool. 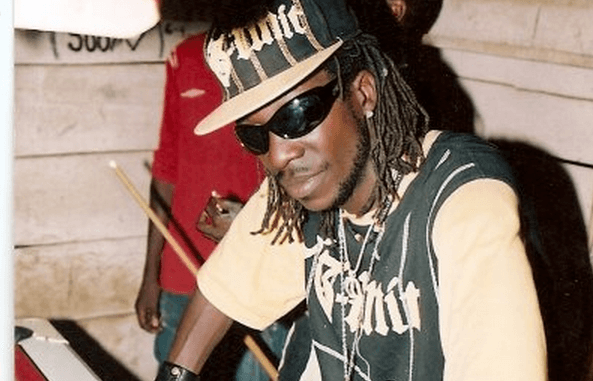 The two had just performed at a club identified as Victoria Pub and a Toyota Harrier knocked Dizzy who was standing outside the car talking to Bebe Cool, who was inside his hummer. Kato Hassan, Bebe’s friend was also affected by the accident and is currently hospitalized. “A speeding car with tinted Windows that had earlier parked at a bank opposite to where i had parked mine at a distance (as narrated by eye witnesses),without lights which totally seemed planned to hit me last night after my gig claimed the life of a young man,a brother,a father,a friend of so many. It also knocked another friend of mine Kato Hassan breaking his leg and fore head but his condition is being managed so far. The body of the late has been taken to his fathers home in kireka for viewing tonight,tomorrow he will be taken to Kayabwe Masaka road where he will be put to rest. He could have been useless to those who executed this plan but he was a human being and a father. Judgement is done by Allah not man and we all shall follow the same road,the only difference is who goes first and how.